As we all sit, holding our breath until December, 2015 in hopes that Disney and J.J. Abrams do Star Wars proud, from the dark side emerges the first Star Wars Instagram. Is it Yoda dispensing his backwards speaking wisdom? Chewy about to let out his famous roar? 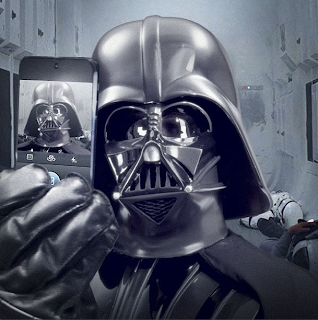 Nope, it's a Darth Vader selfie... and it is awesome.